Mumbai, Aug 29 (IANS) Rising geo-political tension in East Asia along with upcoming derivatives expiry dragged the key Indian equity indices — the NSE Nifty50 and the BSE Sensex — to close deep in the red on Tuesday. According to market observers, heavy selling pressure in banking, consumer durables and capital goods stocks also weighed on markets’ sentiments. 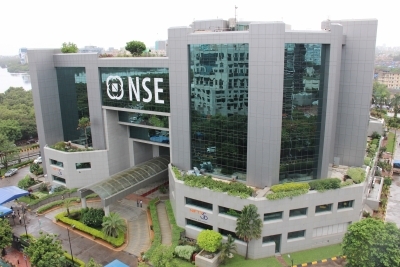 Post 3.30 p.m., the wider 51-scrip Nifty of the National Stock Exchange (NSE) closed at 9,796.05 points — down 116.75 points or 1.18 per cent. The 30-scrip Sensitive Index (Sensex) of the BSE, which opened at 31,724.84 points, closed at 31,388.39 points — down 362.43 points or 1.14 per cent from Monday’s close at 31,750.82 points. The Sensex touched a high of 31,739.80 points and a low of 31,360.81 points during the intra-day trade. On Monday, the benchmark indices closed on a positive note as border tensions between China and India eased and a spurt of buying support was seen in the consumer durables, capital goods and IT stocks. Consequently, the NSE Nifty50 on Monday rose by 55.75 points or 0.57 per cent to 9,912.80 points. Similarly, the Sensex edged-higher by 154.76 points or 0.49 per cent to 31,750.82 points.